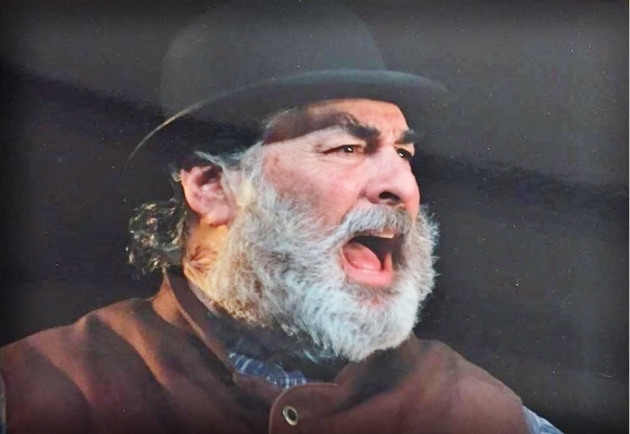 Adam King at the butcher in 'Fiddler on the Roof' at Artistry. Singing actor Adam King had an outsize presence on certain Twin Cities stages. A journeyman performer with a distinctive bass voice, King played patriarchs and major domos in plays and musicals over the last several decades. He died Saturday, Nov. 17, at 63. King was diagnosed with lymphoma in March, according to his sister Karen King-Brooks, of Scottsdale, Ariz.
“It was very fast,” she said. King was frequently cast in shows such as “Joseph and the Technicolor Dreamcoat” and “Fiddler on the Roof.” He acted at venues such as Theatre in the Round, Nimbus, Lake Shore Players and the Minnesota Jewish Theatre. King was born in Sioux City, Iowa, to broadcast executive Roland King and philanthropist Muriel King. He grew up in St Louis Park, where he graduated high school. He studied business and theater at the University of Minnesota, and combined both after school, making his living in broadcast advertising and marketing for such companies as KQRS, Northern Lights Broadcasting and, lately, TPT, Twin Cities public TV. He was an avid sports fan, and had a long friendship with the late Twins great Kirby Puckett. “He was a charismatic person with a great heart,” said sister King-Brooks. Besides his sister and father, of St. Louis Park, King’s survivors include a brother, Daniel King, of the Twin Cities.